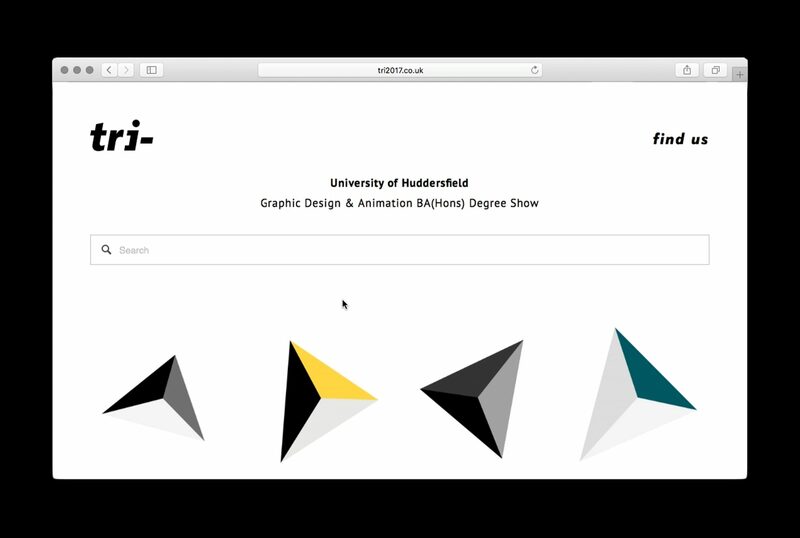 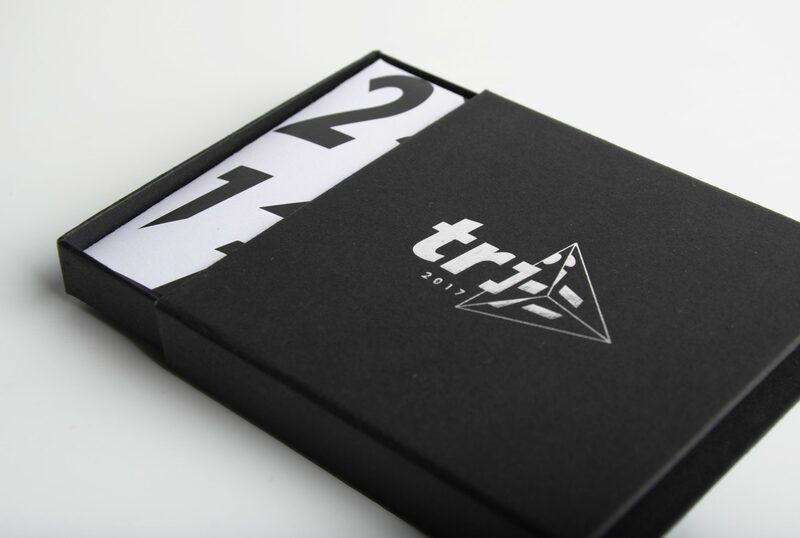 Tri- is the University of Huddersfield’s graduate show for the BA(Hons) Graphic Design & Animation 2017 course. 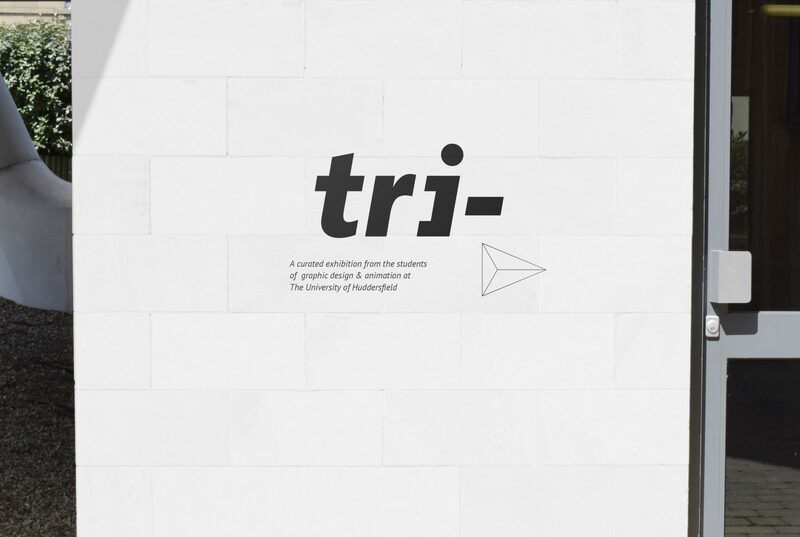 The identity was created to represent the three key disciplines that have been apparent in the year: graphic, motion and generative design. 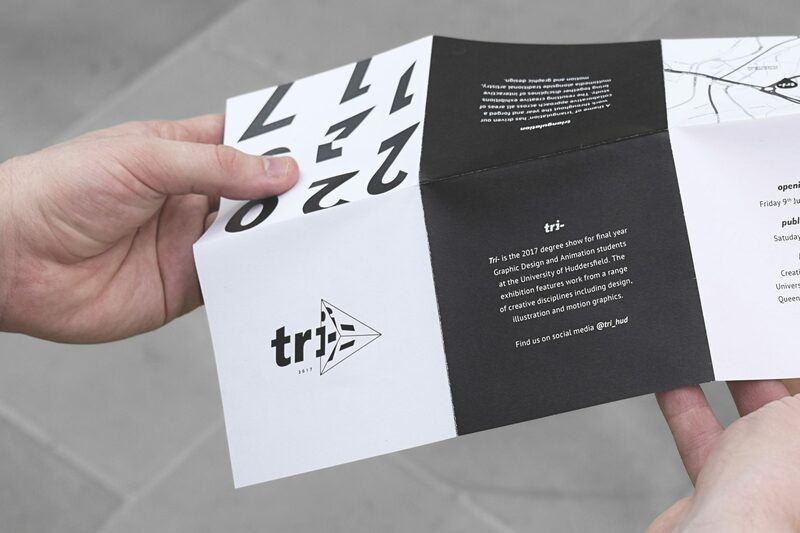 The challenge of this multidisciplinary approach was to capture the essence of the triangulation, but to do so in a clean and minimalistic fashion that plays with the viewer’s perception. 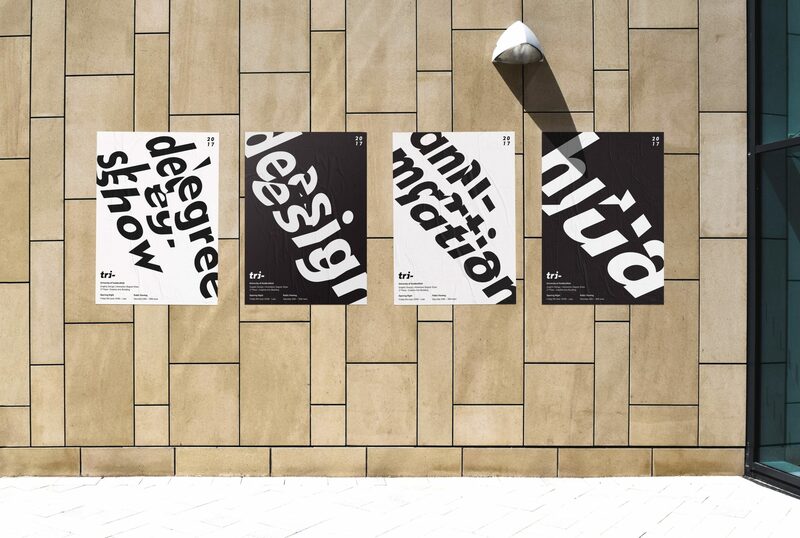 The identity was applied to a variety of formats and remained consistent due to Brand Guidelines and Art Direction.